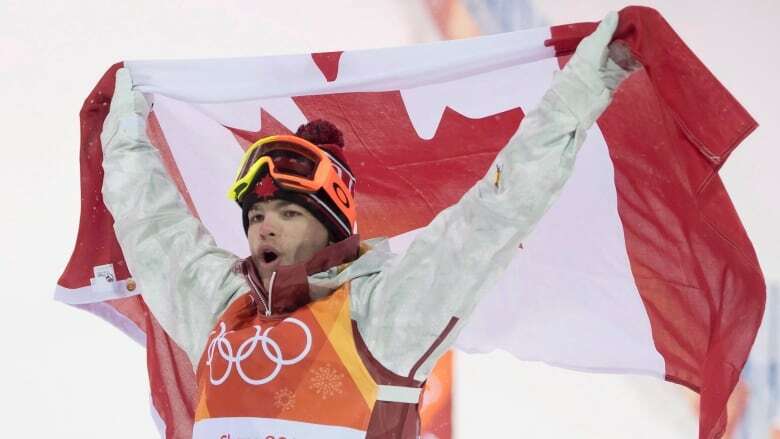 Freestyle ski star Mikael Kingsbury has won the 2018 Lou Marsh Trophy as Canada's athlete of the year. Kingsbury, from Deux-Montagnes, Que., won his first Olympic gold medal at the Pyeongchang Games and dominated the World Cup moguls circuit. Freestyle ski star Mikael Kingsbury has won the 2018 Lou Marsh Trophy as Canada's athlete of the year. He's the first freestyle skier to win the award. The winner of the Toronto Star award is selected annually by a panel of sports journalists from across the country. Kingsbury, from Deux-Montagnes, Que., won his first Olympic gold medal at the Pyeongchang Games and dominated the World Cup moguls circuit, continuing to cement himself as the greatest moguls skier ever. "Mikael Kingsbury is quite simply the best athlete his sport has ever seen. He has been a part of the Lou Marsh conversation for the past five years. All he lacked was an Olympic gold medal. He has achieved that now," said CBC Sports' Scott Russell, who also is one of the voters for the award. "Mikael Kingsbury has answered every question asked of him. His selection in what was a terrific field of candidates is beyond dispute." He won two Crystal Globes at the end of the last World Cup season as overall men's freestyle points leader and overall men's moguls leader. He kicked off the current season last week with a win in Ruka, Finland. It was his 50th career World Cup victory. Going into the 2018 Olympics, Kingsbury was seen as the heavy favourite to win gold and did not disappoint. Having won silver at the 2014 Sochi Games, Kingsbury scored 86.63 to put himself atop the podium. At the time, he admitted he was nervous before his first run, but found his groove as the day went on. With a strategy of skiing clean and advancing through the rounds instead trying to finish first each time, he saved his best for last in the six-person final. Other finalists for the Lou Marsh Trophy included figure skater Kaetlyn Osmond, golfer Brooke Henderson, Edmonton Oilers captain Connor McDavid and curler Kaitlyn Lawes. "It is a great honour to receive this award. I have the greatest respect for the extraordinary athletes who have received it before me," Kingsbury said in a statement. "It is with immense pride and much humility that I accept this award, which has paid tribute to numerous Olympians that have left their mark on the history of the Olympic Games and the world of Olympic sport." The Lou Marsh Trophy has been awarded annually since 1936, except for a three-year hiatus during the Second World War.